'Let's Go, Pikachu!' is another reason to re-download the app. I loved the idea of Pokémon Go when it launched in the summer of 2016. Like so many others, though, I eventually deleted the app due to numerous bugs and the toll it was taking on my smartphone's battery. If you fall into the same camp, but still love the Pokémon franchise, I have a proposition for you: give the game one more try. A lot has changed since its release, and the reveal of two new Switch titles -- Pokémon: Let's Go, Pikachu!, and Pokémon: Let's Go, Eevee! -- has created some extra incentives to play. If you're a lapsed player, you'll find that there's a ton of new Pokémon to catch. The current roster includes most, but not all of the Kanto (Red, Blue and Yellow), Johto (Silver, Gold and Crystal) and Hoenn (Ruby, Sapphire and Emerald) creatures. There's also Alolan Exeggutor, a Sun and Moon variant of the classic coconut tree Pokémon. That means if you step outside your front door, you're more likely to encounter critters that you haven't caught already. Catching doubles is still important — it's necessary to power up and evolve Pokémon — but the thrill of filling your Pokédex is hard to beat. It's the end of May! If you live in the northern hemisphere (sorry, Australia) that means summer is fast-approaching. Pokémon Go is a great excuse to get outside and exercise a little in the sunshine. If you have children, it's also a free way to keep them healthy and entertained during the summer months. You can play the game together and, if you're savvy, tie in some local history and geography lessons as you pass interesting PokéStops. All of my local PokéStops are newsagents and restaurants (come on Niantic, my town has an old wishing well...) but you might have better options. Today, The Pokémon Company announced Let's Go, Pikachu and Let's Go, Eevee, for the Nintendo Switch. They're based on Pokémon Yellow, which means your chosen partner will hang out on your head or shoulder as you wander around. The catching system is similar to Pokémon Go, however, and there's also a co-op option that can be played with a separated set of Joy-Cons. You'll be able to transfer your Kanto creatures from Pokémon Go into the two games — so why not get a leg-up before their release in November? If you're really into the Switch titles, you can also order a Poké Ball Plus, which doubles as a Joy-Con and a Pokémon Go Plus accessory. When Pokémon Go first launched, it was a bug-riddled mess. 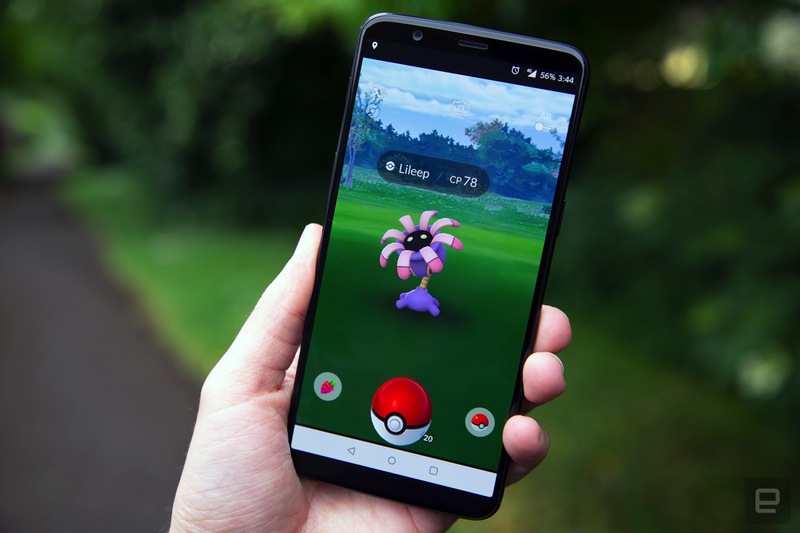 Niantic has continued to support the game, however, and subsequent updates have slowly improved the overall experience. The servers, meanwhile, have benefited from the gradual decline in active players. (We'll see how they fare during this year's live events, which include Pokémon Go Summer Tour 2018.) I'll be honest, though: Pokémon Go is still a huge battery drain, and small glitches are common on both Android and iOS. If you have a portable battery, though, and a smidge of patience it's perfectly playable. There's more to Pokémon Go than catching monsters. If you're just starting out, it's best to focus on the daily Field Research missions. They're randomly allocated and retrieved by visiting any normal PokéStop. Complete them and you'll unlock different rewards including Pokéballs and TMs. While you're walking, you can also earn free Pokémon candy — the currency for powering up and evolving a Pokémon — by selecting a 'buddy.' There's also story-based Special Research, and an upgraded gym system if you're into competitive play. Finally, you can get involved in raid battles — both open and invite-only — to catch rare and powerful Pokémon. Pokémon Go's real-world exploration and AR-infused catching isn't for everyone. If you were intrigued by the concept, though, and fell off the band wagon like me, there's never been a better time to reinstall the app.